I love Chocolate, I love Cookies and I so love the cookies which has not a single, nor double but triple chocolates in them! These cookies are simply irresistible as these are soft textured cookies and perfect to dunk in a glass of cold milk or even with a cup of strong cup of coffee. These cookies go one step ahead from the delicious Chocolate Chip cookies as they have melted chocolate, cocoa powder and chocolate chips, all in one. These cookies are beautifully cracked, crunchy around the edges, soft and chewy in the middle, and full of deep, caramelized and chocolate flavor. These cookies make a perfect option for gifting, as it would be very hard to find someone who would not love these cookies. Make these cookies once, I guarantee, you will make these cookies again. Preheat your oven to 180°C/350°F. Line two baking sheets with parchment paper/ grease with butter. 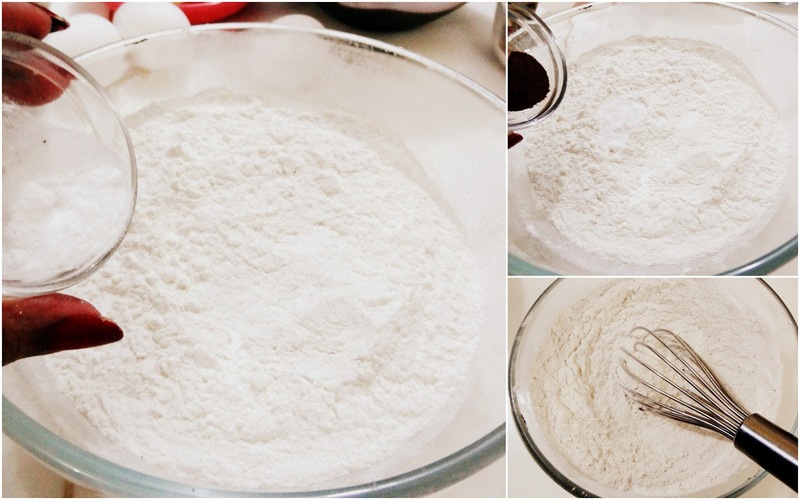 In a large bowl, sift flour, baking soda and cinnamon powder and mix it to come together. 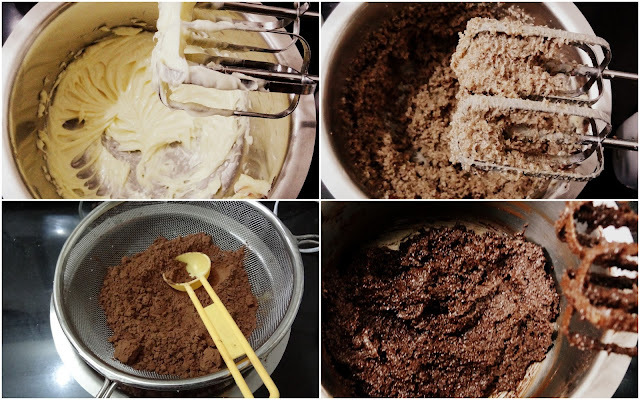 In the bowl of your stand mixer (or with hand mixer), cream butter and sugar until light and fluffy. Sift cocoa powder and beat it until incorporated. Add the eggs, one at a time, beating well after each addition. Add vanilla extract and melted chocolate and beat until well incorporated. 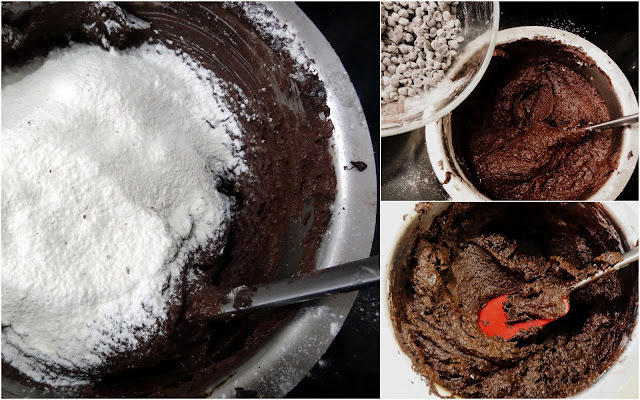 Mix 1 to 2 tbsp of flour from your flour mixture and mix it in chocolate chips so that the chips gets completely coated in flour (this process prevents chocolate chips from sinking to the bottom of the mixture). Add the flour mixture and mix it with the rubber spatula (only if using hand mixer like me, else mix using your stand mixer). 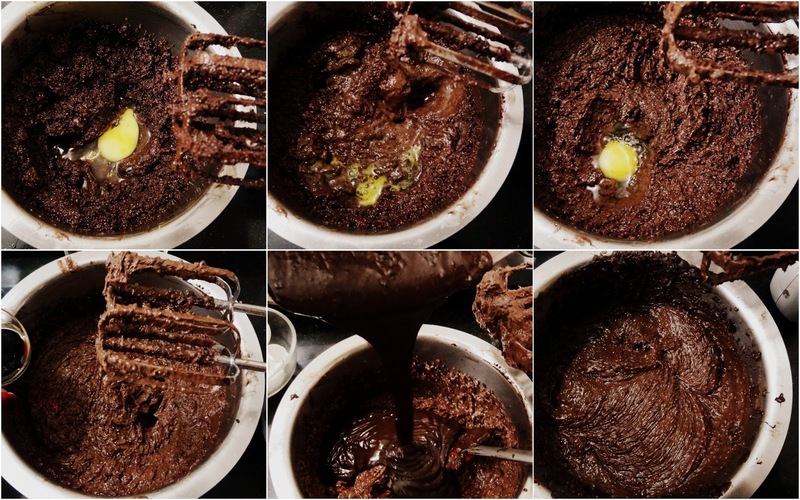 Add the chocolate chips and mix until all the ingredients starts to come together. Using a small ice cream scoop, scoop out the dough to form dough balls and roll them in caster sugar kept for rolling. Place the dough balls on the baking tray lined with parchment paper keeping a gap of few inches. Flatten the cookies with by gently pressing with your hands. 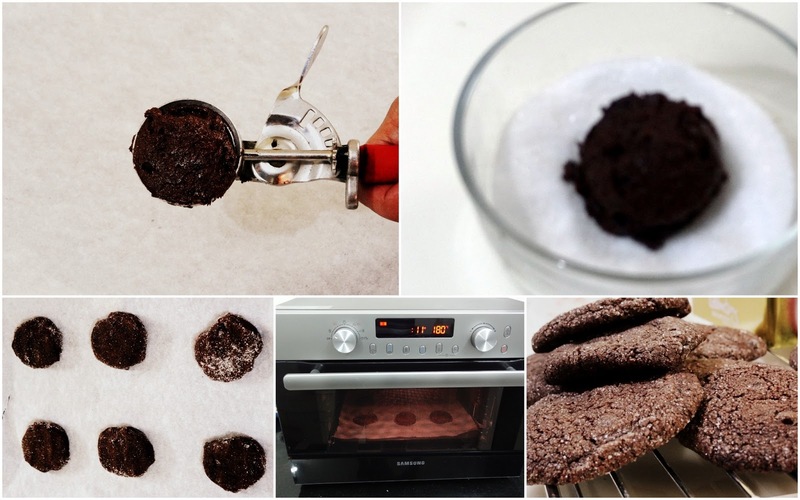 Bake the cookies for 11 to 13 minutes depending on your oven. The cookies are done when they are set in the center. Let the cookies cool for a few minutes on the baking tray before transferring them on to wire rack to cool completely. Hope you also enjoyed these cookies as much as I did!